Things haven't been going well for the Duchess of Sussex with her father. 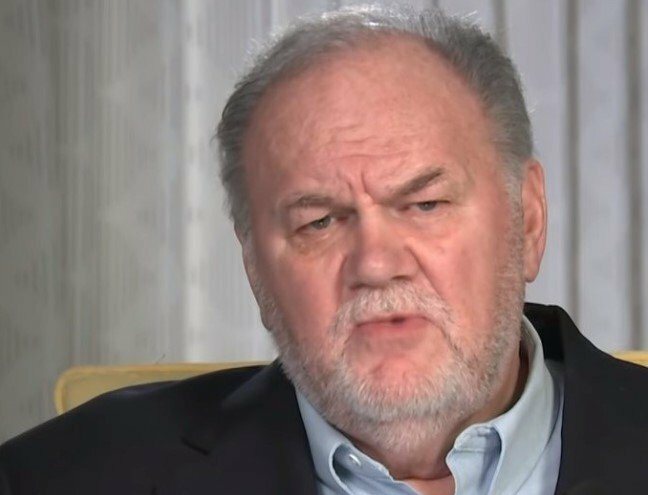 Persistent rumors keep circulating about Thomas Markle’s less-than-stellar attitude ensuing family drama. Despite the hard times, Meghan Markle is convinced that her husband, Prince Harry, will be the "best dad." Surprisingly, she's not the only one who's opened up about parenthood. Harry also expressed some heartfelt words regarding his upcoming role as a father. Take a look at the intriguing details of this story in today's article! 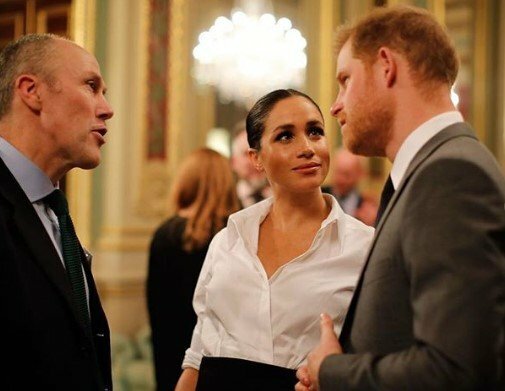 The Duke and Duchess of Sussex stepped out in London on Thursday for the Endeavour Fund Awards, where Meghan expressed her faith in Harry’s parenting ability. The event is an initiative created to honor wounded and sick military veterans who continue to challenge themselves with sports and adventure. At a pre-ceremony party, Harry joked with one invitee saying: “There's a heavy baby in here,” reported PEOPLE. 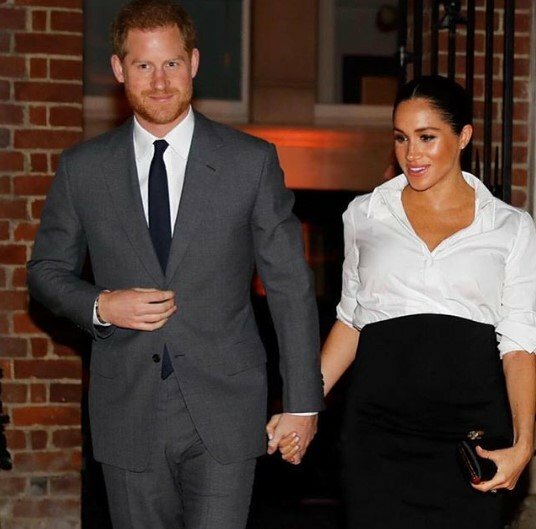 Meanwhile, Meghan, cradling her baby bump with a hand, was also heard telling another guest, "He’s going to be the best dad." The Royals looked very much at ease as they arrived hand-in-hand at Draper’s Hall in London’s financial district for the event. Harry, 34, was dashing in a grey suit and black shoes. Meghan, meanwhile, oozed a beautiful pregnancy glow. She was donning a white shirt rolled up at the sleeves and a black skirt with a side slit, all from Givenchy, her wedding dress designer. The Duchess accessorized with a black clutch, also from Givenchy, and black Aquazzura Rendez Vous 105 Suede Pumps. Her hair was pulled back in a neat bun to complete the classy look. As previously mentioned, the fifth in line to the British throne also delivered a statement about his upcoming stage in life. 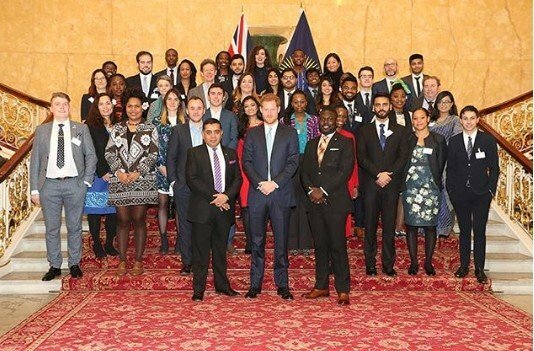 The Duke will become a father this spring, which formed the primary drive behind his speech with Commonwealth youth leaders at Lancaster House in London. He operates as the Commonwealth Youth Ambassador, a role that was formerly his grandmothers'. He started his speech, voice heavy with emotions, stating that as someone who is becoming a dad, he is acutely aware of the shared responsibility to make this world more resilient, and its inhabitants more accountable for the next generation. Moreover, he spoke about how his job has been mind-opening. He has become more passionate about empowering young people in the world. 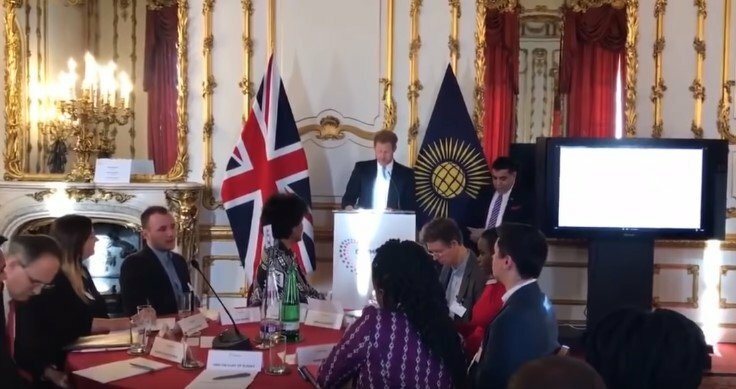 The Duke pointed out that it's a privilege to be in a position where he can provide a platform for youths to pursue their visions and make it a reality. The Prince encourages the audience "to continue your cause-driven work at the highest level, driving positive and effective change." 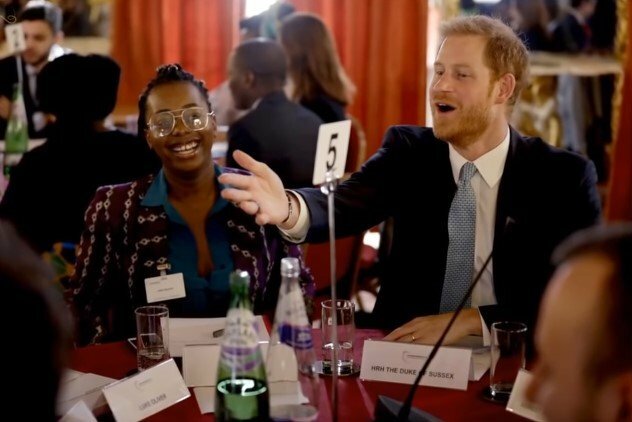 The 34-year-old is super proud of the many good deeds young people are doing all over the world; he gained this insight in his recently concluded Commonwealth tour with Meghan. He is very hopeful for a better future, especially now that he's going to be a dad. He feels that good parenting is a gift we owe to the next generation. It's also very likely that Harry will be a protective father, considering his shielding attitude towards his wife. In addition to being protective, they also have their own unique way of showing love. The reason behind this, is that there is a limit to how public they can be due to the conservative nature of the crown. One of the ways they show affection is giving each other nicknames. This practice helps reduce tension between themselves. For instance, Harry has three nicknames: Potter, Flash, and Gromit. Kate Middleton called her husband ‘big Willy’ while they were dating - now, she simply calls him ‘baldy.’ Sources close to the family say they do this because they are not good at communicating, so this helps them out. 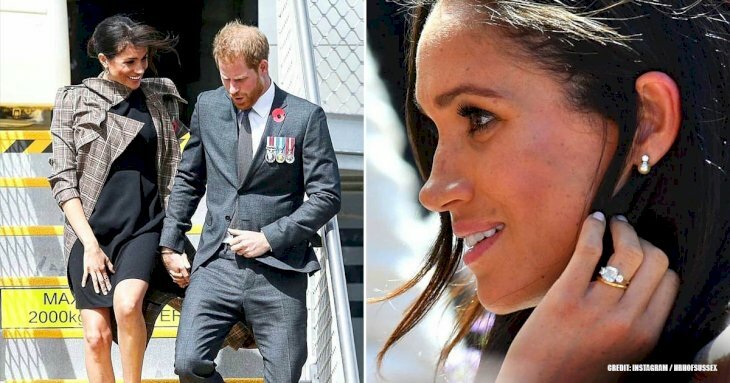 Meghan and Harry’s outing and parenthood declaration come on the heels of a People Magazine article in which five "close friends" of the Duchess spoke out for the first time about the "emotional trauma" she has experienced due to her tumultuous relationship with her father, Thomas Markle. One of the friends noted how Meghan had always supported her father, even when he betrayed her by staging and selling paparazzi photos for lucrative purposes. The confidant also revealed that the Duchess reportedly wrote an emotional letter to him after her wedding, but Thomas replied by asking for a photo-op with Meghan. 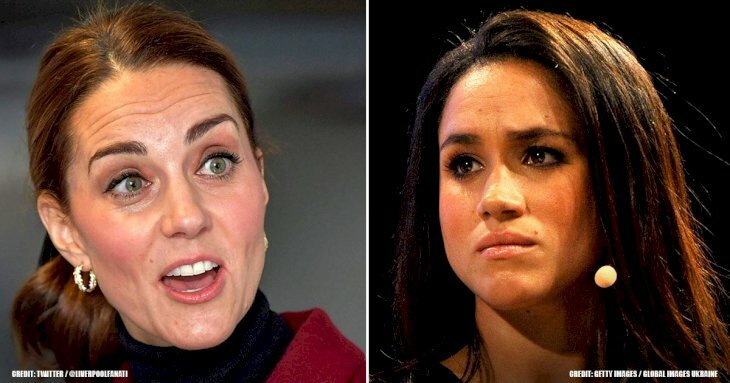 The friends, who preferred to remain anonymous, worried that all the family drama could take its toll on the health of Meghan and her unborn child. 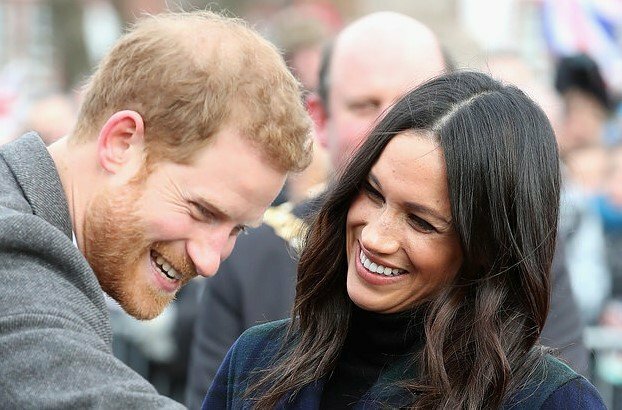 "We worry about what this is doing to her and the baby," said a friend who also happens to be Meghan’s former co-star. "It’s wrong to put anyone under this level of emotional trauma, let alone when they’re pregnant." 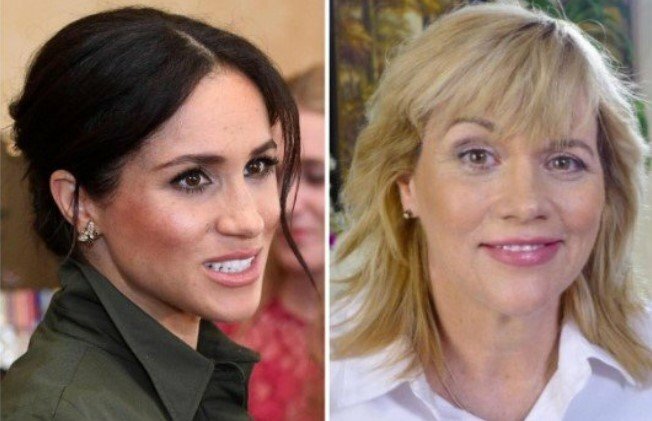 Meanwhile, Meghan’s controversial half-sister, Samantha Markle, wasted no time slamming the People Magazine report. According to Inside Edition, she tweeted: "#PeopleMagazine this article is total [expletive] there are plenty of text messages and receipts to prove otherwise." 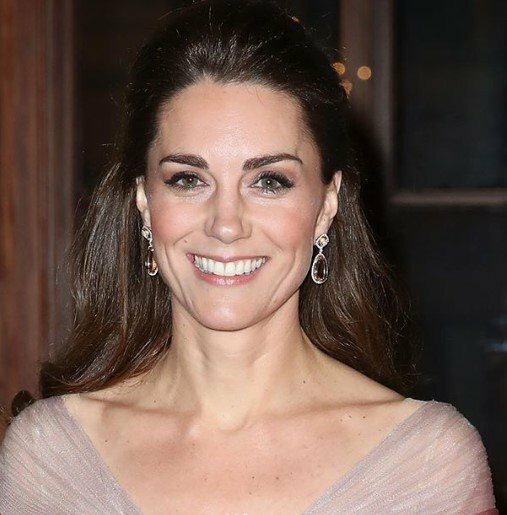 The American former actress has also been the subject of several negative headlines, something her friends describe as “global bullying.” There are reports of her being at odds with the royal staff and her sister-in-law, Kate Middleton. 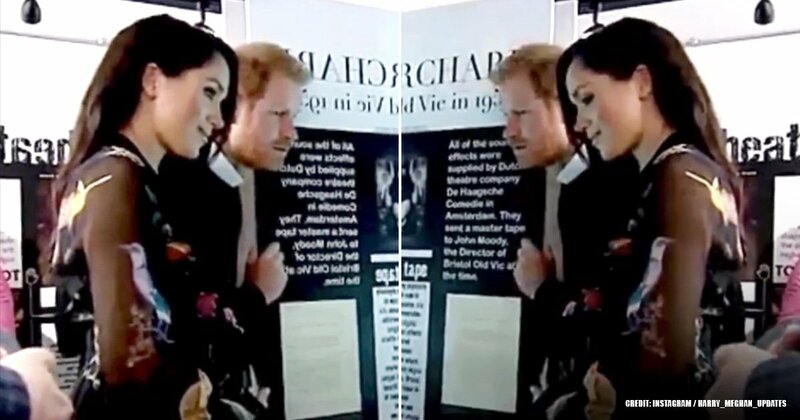 Recently, Meghan was also pinpointed as the cause of a rift between her husband, Prince Harry, and his brother, Prince William, the Duke of Cambridge. 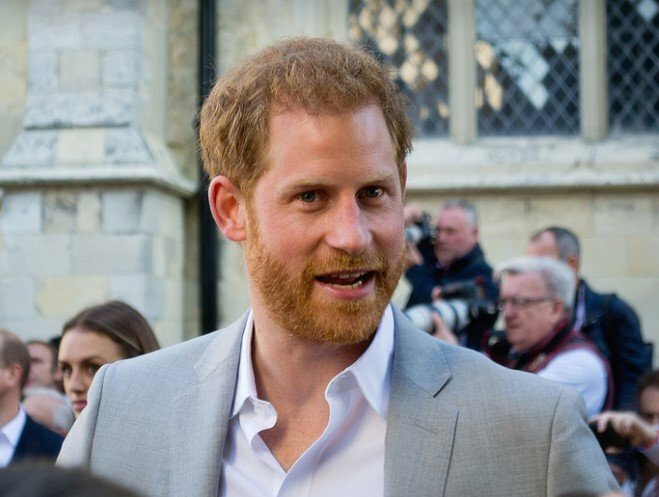 Harry reportedly took offense after his older brother tried to make sure he was not rushing into things with Meghan. Apparently, the siblings’ relationship has not been the same ever since. 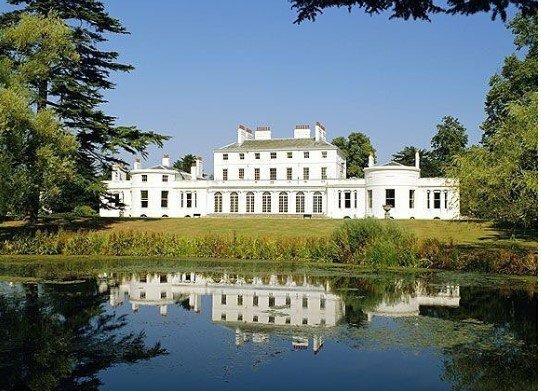 It comes as no surprise that neither Meghan nor Harry have addressed all these speculations about her private life; however, it's safe to say the Royal couple is more concerned with remodeling their new residence and getting ready to welcome their first child this spring. 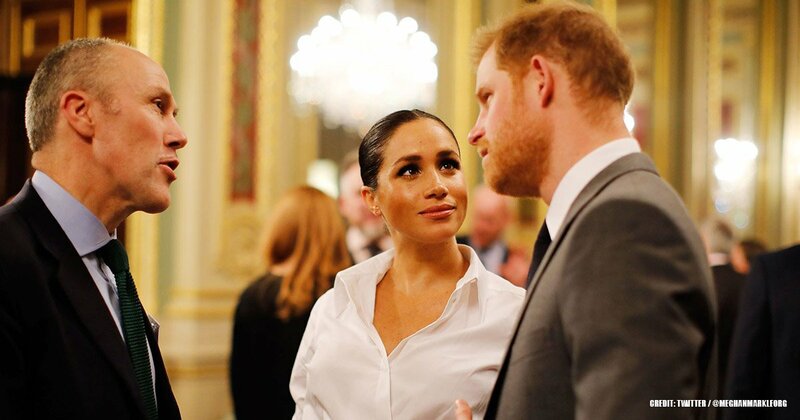 Amidst the various reports about their lives, Meghan and Harry are focused on their new roles as mother and father, and they are making sure the world knows. What do you think about the future of the pair and the drama? Will things calm down once the baby is born? Let us know in the comment section! Make sure to stay tuned for more exciting articles.